I originally went to the Aether website to check out the new microsite for their “Cone” speaker. The site takes full advantage of HTML5, CSS, Full screen video, and other modern web browsing experiences. The look and feel is simple, clean and refined with limited copy allowing the images, video and audio to effectively sell the product. 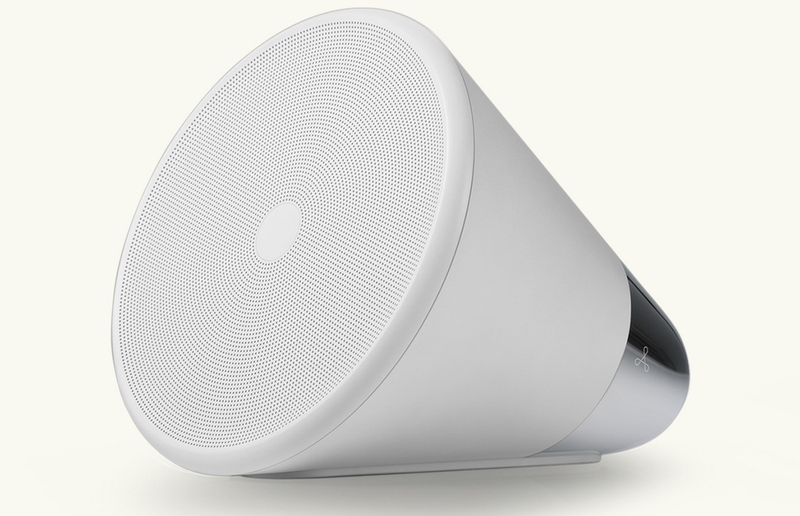 While checking out the look of the new site, I kind of fell in love with the “Cone” speaker itself. 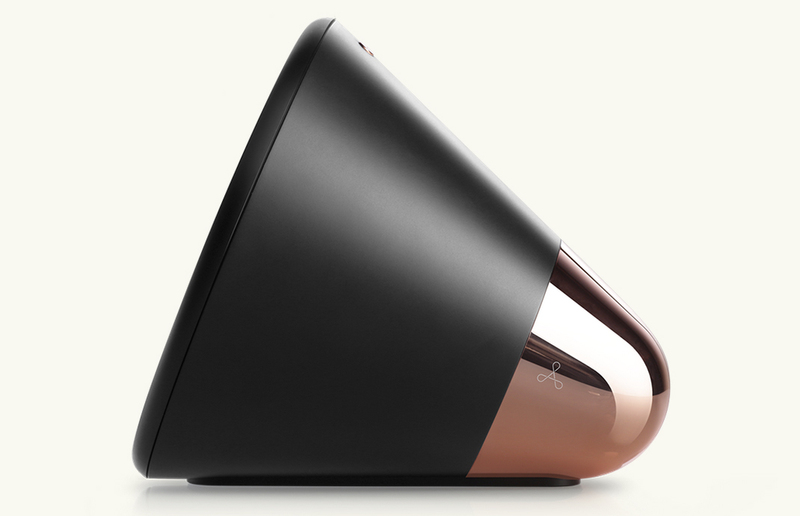 Cone is a portable speaker with a minimalist design aesthetic, and ease of use in mind. The intelligent electronics inside Cone collect an ongoing record of the users music history remembering when, where and what was played, creating smart playlists for the right time and place. Cone draws from your personal music collection as well as from an online library packed with more than 20 million tracks available to you. The online catalog also features internet radio services and pod casts extending your listening experience. The controls are simple. Touch the center button for play pause and power, rotate the outer ring for track selection and volume. If you click through to the nicely designed website there is a section of videos that show Cone in action. right now Cone is available for pre-order and it comes in either black and copper, or white and silver color combinations. Cone is powered by a Lithium Ion battery that delivers up to 8 hours of playback on a single charge. To get Cone up and running you will need an iPhone,iPad or Mac, but Android is in the works. Posted in Design and Art, Music and such and tagged Aether, Cone, CSS, Design, Graphic Design, HTML5, Industrial Design, Mobile Speaker, Speaker, Video, Web Site Design on March 14, 2014 by Author.